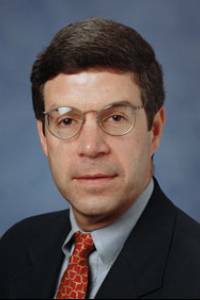 Peter J. Shedd received BBA (1974) and JD (1977) degrees from the University of Georgia. After clerking for a federal district judge, he returned to the Terry College of Business at the University of Georgia. Peter is a University Professor Emeritus of Legal Studies. Peter has been a Visiting Professor at the Stephen M. Ross School of Business, University of Michigan, in 2009, 2012, and 2015 and at the Warrington College of Business, University of Florida, in 2014. He has written numerous articles and two leading textbooks in the areas of the legal and regulatory environment of business and business law. Peter was named the Georgia Professor of the Year in 1993 by the Council for the Advancement and Support of Education. In addition to his teaching and research responsibilities, Peter has served in several administrative capacities, including as the university’s Interim Vice President for Instruction and Director of the Terry College Full-time MBA Program. Peter also was involved in the Executive Leadership Program of the State of Georgia’s Leadership Institute. From November 1995 through May 1997, he was the Director of the Education and Training Program of the Consortium on Conflict Resolution and Negotiation. Peter is a member of the State Bar of Georgia. He is an experienced mediator and arbitrator. edited by Fred Stephenson. 2001. Extraordinary Teachers: The Essence of Excellent Teaching. Andrews Mcneel Publishing:185-190. Lee Reed, Marisa Pagnattaro, Dan Cahoy, Peter Shedd & Jere Morehead. 2013. The Legal and Regulatory Environment of Business. Mcgraw-Hill/Irwin, (16th edition).